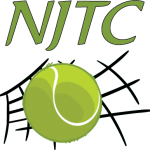 Annual NJTC Membership signup, payment, and waiver acceptance. The membership application to join the NJTC must be completed on an annual basis by all players (new and returning). Dues are paid annually for the calendar year (Jan 1 - Dec 31). NJTC WAIVER: 2019 Waiver: By signing this form, and, or by agreeing to the membership form via online form submission the signer (or submitter) does hereby releases and agrees to indemnify and hold harmless North JeffCo Tennis Club (hereafter referred to as NJTC), and its Board, Contractors, and agents (club reps, historian, volunteer coordinator, newsletter editor, technology coordinator) from, and waives, any liabilities or claims of any nature that arise out of the use or operation of the facilities by guest, including without limitation any liabilities or claims for physical, emotional or mental injury or for damage to or loss of any personal property, even if caused in whole or in part by the negligence of any person hereby released, and all attorneys' fees, expenses, and court costs related thereto. Further by accepting this waiver you understand and agree that this liability waiver, indemnity, and release applies to all present injuries and/or damage and to all injuries or damage that may be discovered in the future and that it binds or respective heirs, executors, and administrators.